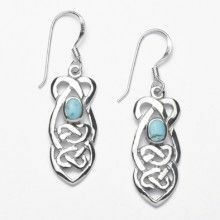 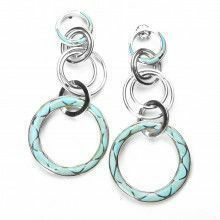 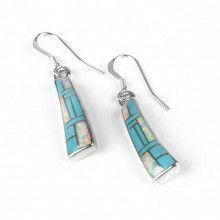 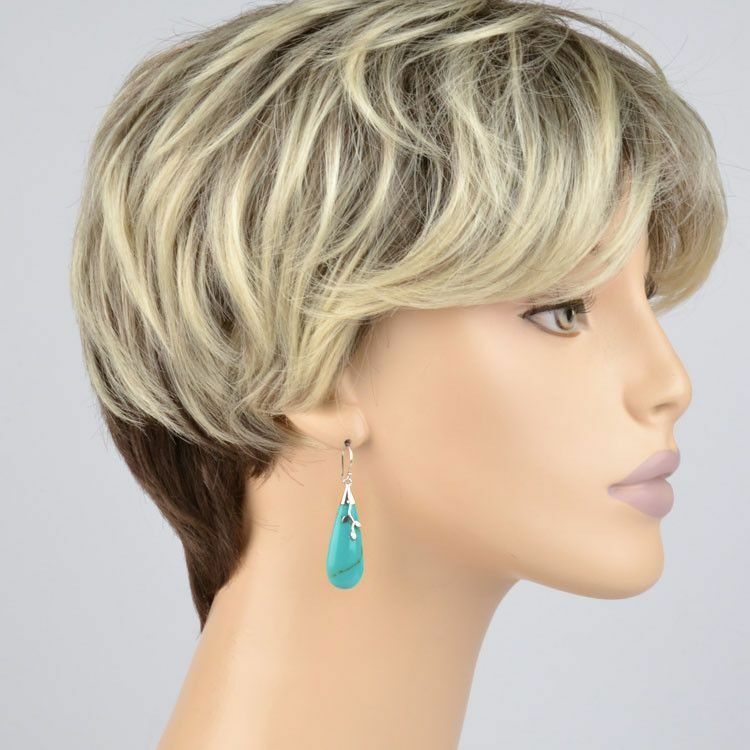 These lovely drop earrings are made with created turquoise and sterling silver. 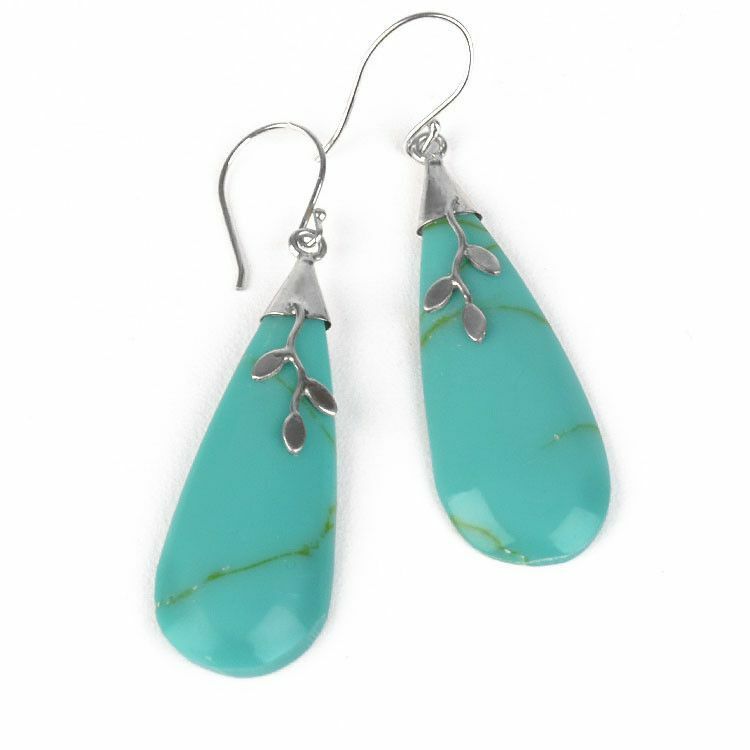 The 1 1/2" drop features a silver floral decoration. 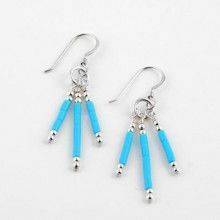 Simple hooks complete these lightweight earrings that are approximately 2" in length in total.